An entry level qualification is both necessary and appropriate for those starting out in the property industry. It will provide you with an overview of the profession while making sure you have obtained the fundamental competencies to fulfill your duties. 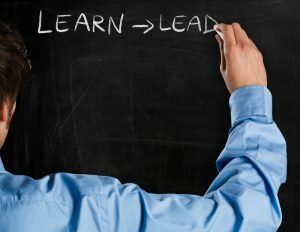 Educating yourself further will add to job satisfaction, professional confidence and opportunities for greater career independence. In order to offer the best service to your clients, you must have the right qualifications for your work. The property industry is dynamic and diverse, offering a vast range of different roles for professionals. Taking the time to identify your areas of interest is a valuable step in your ongoing education. Consider where your natural abilities lie. If you are a people person who enjoys being out of the office, sales might be a good area for you. If you are great with numbers and enjoy researching, finance might suit your interests. Whatever your area of interest may be, the Australian College of Professionals can help you to hone your skills by obtaining the right qualification. Here is an overview of some of the industry sectors you can move towards with a training course from ACOP. In this role, you will oversee of a wide range of issues relating to properties to rent or buy. This will involve having a solid understanding of the key features of the location of the property, the features of the property itself and the financial details associated with the property. Getting to know the area includes finding out about the history of sales, the future plans for development and access to services and infrastructure. Commercial and retail sales and leasing is a different industry sector again. ACOP offers skills training to registered professionals who wish to move in this direction. Strata title management involves overseeing all issues related to multi-level apartment blocks as well as horizontal subdivisions that share a common area. There is legislation particular to this role, making the right qualification both necessary and crucial to success. A stock and station agent works with the agricultural community, providing support in all aspects of property matters including both the property itself (station) and the livestock housed on that property. The work of an Auctioneer is dynamic and progressive. ACOP provides training to equip those working in the industry with the particular skills required to conduct an auction. Each of these roles requires a different skill set and will take you in a different career direction. Identifying the right Industry sector for your professional and personal needs is the first step. Obtaining the right qualification with ACOP will complement your work and life experience and support you to move forward in that sector and have the career you deserve. Would you like to find out more about becoming a professional in the property industry? The Australian College of Professionals can assist you, with courses that match your aspirations, skills and necessary qualifications. Contact us today or call 1300 88 48 10 to discuss a new course or ongoing education.